A 51-year-old man who admitted stabbing his lifelong friend after a fight over a can of beer has been convicted of manslaughter. 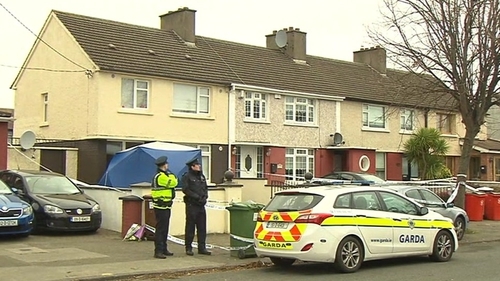 Paul Keating of Harmonstown Road, Artane, Dublin stabbed father-of-six Mark Richardson in the chest at his family home in March of last year. He had pleaded not guilty to murder. The court heard that Mr Richardson often visited his friend's home and they would drink together. On 16 March 2017, both men had gone out together and arrived back with an eight pack of beer cans each. Mr Richardson's partner Aisling Kenny testified the men began slagging each other and went out to the back of the house. The victim's son Dean Connors told the court that there was a scuffle between the men over a can of beer. Mr Connors’ partner, Kim Valentine, said Keating just snapped and she saw him stab his friend with a kitchen knife in the chest. Mr Richardson died in hospital an hour later. Keating told gardaí he just lost it and he did not know why he stabbed Mr Richardson. He said hurting him was the last thing on his mind. He agreed he just lost his head and flipped. The jury of six men and six women today found Keating not guilty of murder but guilty of manslaughter by unanimous verdict. He was remanded in custody for sentencing.